Fail to move out when your lease term has ended. Landlords can also evict for drug-related criminal activity in the household, and, if they do, can follow a more expedited court process than the one described here. Eviction is NOT a clever way to get out of a lease. If you are evicted, you will still owe the rest of the rent due under the lease. Landlords can only evict through a court process. They are not permitted to 'lock out' or 'throw out' a tenant. The landlord must provide you with a Notice to Quit before starting the court process, unless that step is waived in the lease. Most leases in the State College area include a provision that waives a Notice to Quit. In that case, the landlord can file an eviction action in a local court without giving you advance notice. 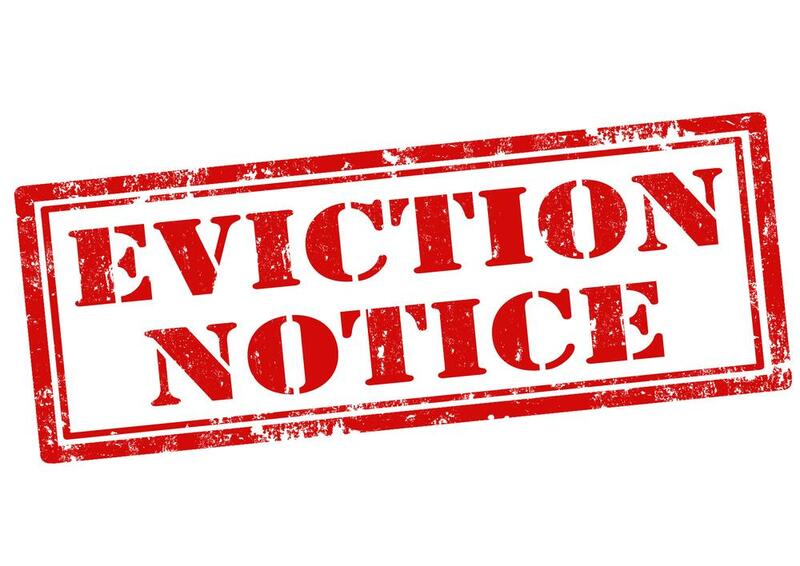 If your landlord files for eviction against you, you will receive a notice from the local Magistrate District Judge (“MDJ”) informing you of a hearing date to determine if you will be evicted or not. The hearing will be set for between 7 and 15 days after the eviction has been filed. You must attend this hearing, or the judge will have no option other than to evict you and award whatever damages the landlord has requested. If you think your landlord did something wrong, for example, failed to provide hot water or heat, you may go to the MDJ office and ask to fill out a 'cross-complaint' form. You must do this at least 5 days before the hearing. Keep in mind that not all problems give you the right to break your lease. If the only reason the landlord filed the eviction action was for non-payment of rent, you can stop the eviction by paying the full amount due by certified check before the scheduled hearing date. At the hearing, the judge will allow you and the landlord to tell your sides of the story. If you have any defenses to the landlord’s claims, you must bring along copies that support your side of the story, including bills, copies of checks, photos, e-mails, texts, etc. If the judge finds in favor of the landlord, he may award possession of your apartment to the landlord. You will have ten days to vacate the property, unless you appeal the decision. If you do not move out or appeal, the landlord can have the sheriff forcibly remove you from the property. If you want to appeal the judge’s decision, seek legal advice immediately after the hearing. You must file the appeal within 10 days of the date of the judgment. To file an appeal, you will need to go to the Prothonotary’s office at the Court of Common Pleas in Bellefonte. The Prothonotary will give you a Notice of Appeal form to fill out. Once you have filed the notice with the Prothonotary and paid the required fee, you will then need to ‘serve’ a copy on both the landlord and the MDJ who entered the order against you. You may serve them by either handing a copy to them or sending the notice by certified mail. After you have served both copies, you must give proof of the service to the Prothonotary’s office. This can be done by either signing a form verifying you have served the copies, or by giving the Prohonotary a copy of the certified mail receipt. Once you have filed and certified the notice of appeal with the Prothonotary, your landlord will have 20 days in which to file a ‘complaint’ in the Court of Common Pleas. If the judgment by the Magistrate Judge was for unpaid rent, you may be required to pay a portion of the unpaid rent to the court while your case is pending. Once the ‘complaint’ is filed, you will have 20 days to file your ‘answer’ to the complaint. Your ‘answer’ is where you can deny the allegations of the landlord and also list any counterclaims you may have. You must file an ‘answer.’ If you do not, then the court will consider the landlord’s claims as un-opposed and admitted. More Questions: If your eviction questions aren't answered here, check North Penn Legal Service's excellent eviction FAQ.